Since 2016, the option to retweet your own tweets exists, but some are afraid of looking too spammy on Twitter. But Twitter is like the ocean: the feed is always changing, and unless you retweet or tweet the same thing over and over, most of your followers may not even get the chance to see your nonprofit publications’. 1. Let your nonprofit shine in the Social Media. Publish your content with a short link (use bit.ly to shorten your links), a catchy message and an image. It is increasingly important to add an image, gif or videos to your social networks. Gifs are especially funny and generate interaction, but try no to use it too often because it will make your organization look unprofessional. 2. Tag others, tag your partners. If your Tweet is about a collaboration between your nonprofit and some other organization, tag the organizations on your Tweet’s picture. 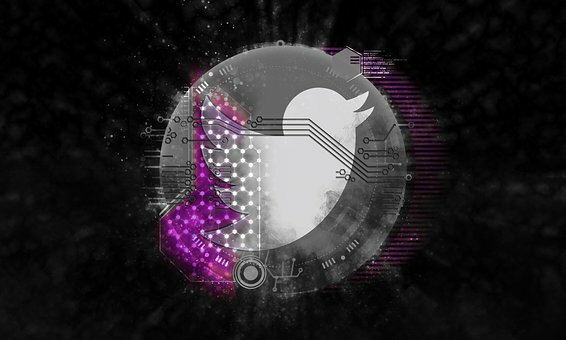 This way you strengthen your digital community, because the other organization will be notified of the Tweet. 3. Use Tweetdeck or Hootsuite to program those Tweets or Facebook or Instagram publications that you won’t be able to post during the weekend, for instance. If your nonprofit's communciation team has decided being just in Twitter, Tweetdeck is the app you need. However, if your organization is bigger, the free version of Hootsuite will allow you to manage Facebook, Instagram and Twitter all in one board. Bear in mind that to add more than 3 social network accounts to your Hootsuite you will need to pay, and maybe your organization is not that big: unless your nonprofit is as big as Greenpeace, the Hootsuite free version is probably useful enough. However, Hootsuite offers discounts for nonprofits, and you can read more about it here. 5. Use Twitter hashtags and add them to your tweet routine. Applications like Trendsmap can help you spot the right hashtags that will let your tweets reach a broader audience. As a nonprofit, the hashtag #GivingTuesday can help you grow followers and make more online connections every week. 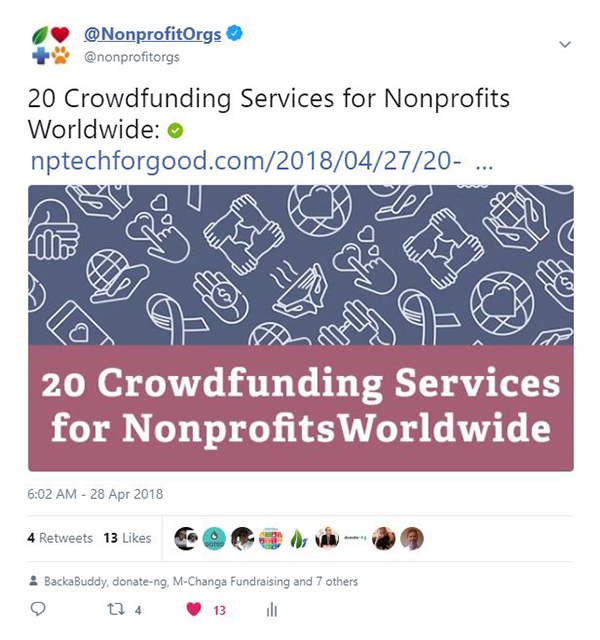 If your nonprofits needs more tips on how to use Twitter you can also check Nonprofit Tech for Good or Capterra technology blog for nonprofits.